Since the rise of the Boko Haram insurgency in 2009, violent extremism in Northern Nigeria has claimed over 100,000 lives, displaced over 2,000,000 people from their homes and destroyed billions of dollars’ worth of personal and public property. These have affected mostly northeastern states in Nigeria, as well as some part of the the country. The toll endured by the communities in the area can't be overstated with girls education becoming a political front line issues and recruitment of youth for militarized activities. Participants on a visit to Arewa24 studio. A participant asking questions during a session. At the end of the 5-day event, all 32 participants were granted fellowships that would run for 6 months. They had a chance to pitch their project ideas to a group of panelists during the last session of the Tech Camp. 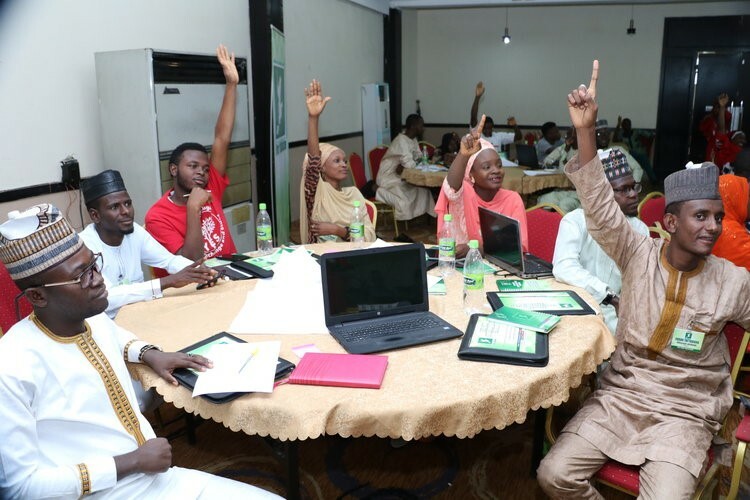 Most of the Participants chose to work in groups in the following project ares: drug abuse, political thuggery, girl child education, use of technology, Almajiri education, and Countering Violent Extremism. They will be launching their campaigns within their immediate communities as well as on various social media platforms. A group pitching their project idea to the panelists at the last session of the Tech Camp. Our partner TV station Arewa24 will feature the Tech Camp and 7 participants in a new segment on the popular youth series Matasa@360. "The Tech Camp has done a lot for me but most importantly, changed my indifferent behavior towards my community to improving other people’s lives. I will be supporting them in the little way I can, which in the long run will bring about peaceful coexistence and at the same time, fight anything that gives room for any form of societal harm". 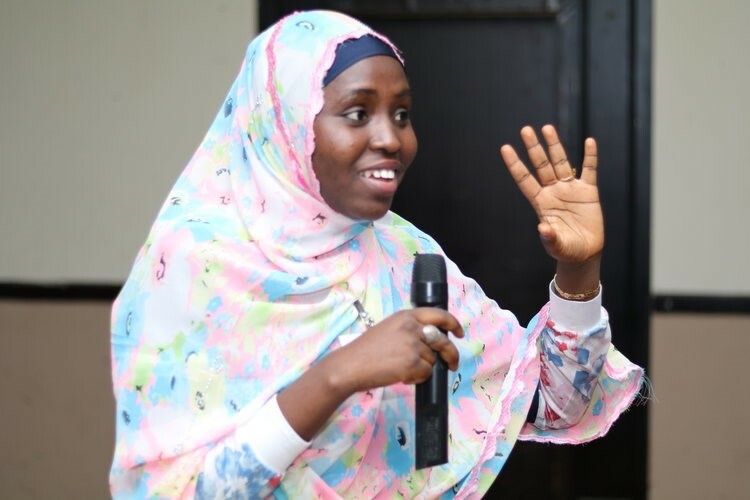 - Faydah Yahaya, from Abuja. "The Farar Tattabara Tech Camp was a top notch program that beat my expectations in terms of rich content and organization. The resource persons were generous and very eager to help us become peace promoters in our communities and beyond. Since the media has become a tool that violent extremist groups use to recruit and spread their messages, the Farar Tattabara tech camp used a holistic approach to using the media to provide alternative narratives to arguments presented by violent extremists. I really appreciate Equal Access for organizing this program, and look forward to a more peaceful Nigeria (especially the North East) with youth at the forefront of driving the wheel of change and development”. -Jimoh Ibrahim Olalekan, from Niger State.